16 oz. 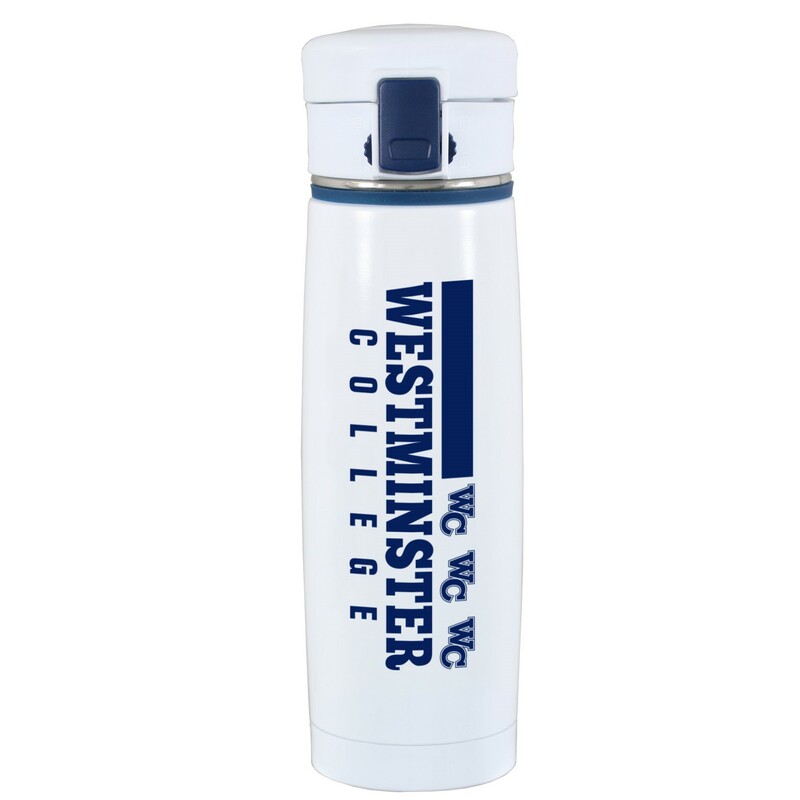 school spirit travel tumbler in navy and white with Westminster imprinted in white. Dorchester Mug is an 11 oz. 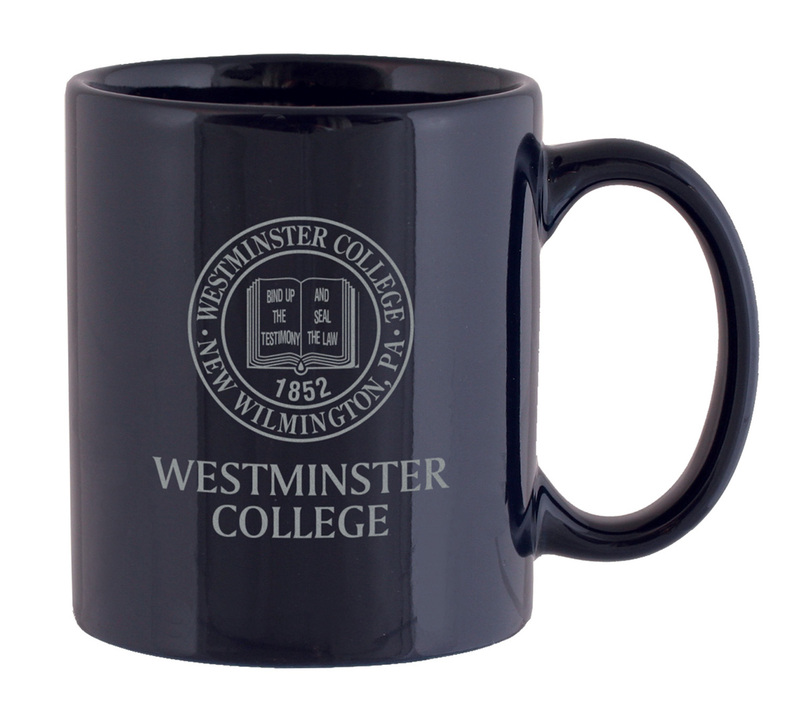 ceramic mug with imprinted Westminster Seal in silver. Available in Navy. Dorchester Mug is an 11 oz. 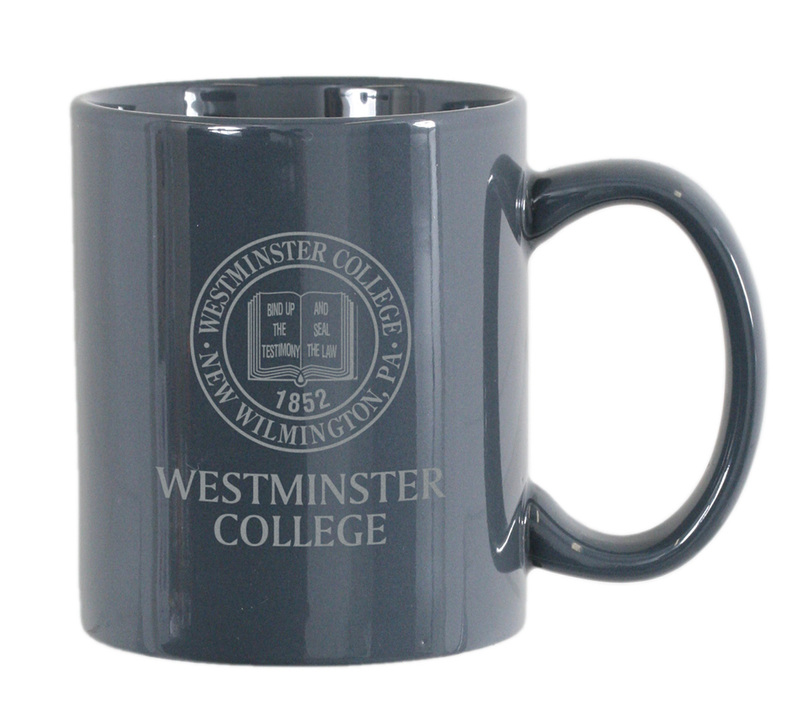 ceramic mug with imprinted Westminster Seal in silver. Available in Storm Gray. R.F.S.J. ceramic 11oz. 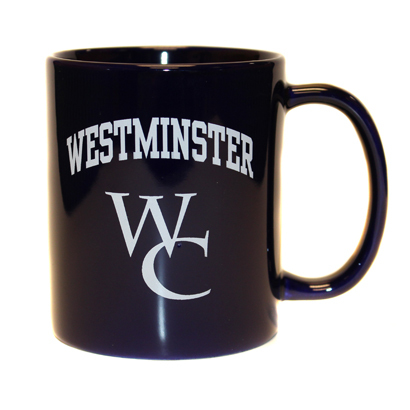 coffee mug has Westminster and interlocking WC imprinted on both sides in white. Available in cobalt blue. RFSJ 16 oz. 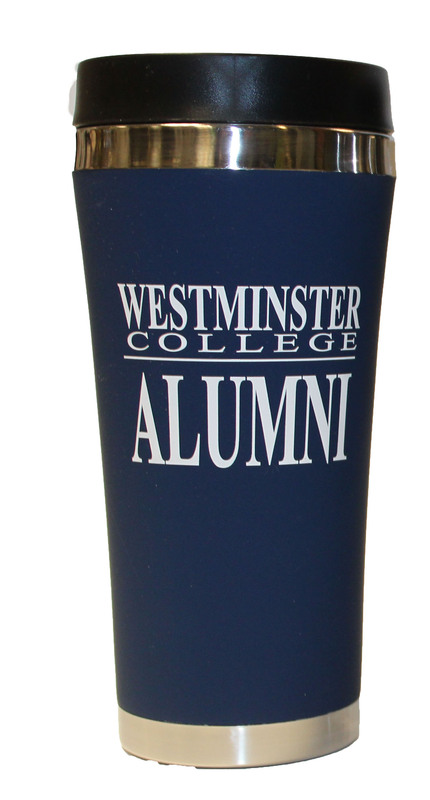 satin finish stainless steel JV Travel Tumbler for Alumni. Available in Navy with white lettering. RFSJ 16 oz. satin finish stainless steel JV Travel Tumbler for Dad. Available in Navy with white lettering. RFSJ 16 oz. 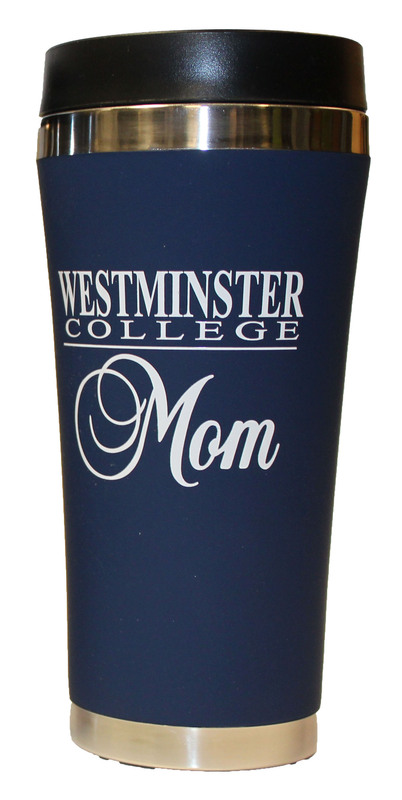 satin finish stainless steel JV Travel Tumbler for Mom. Available in Navy with white lettering. 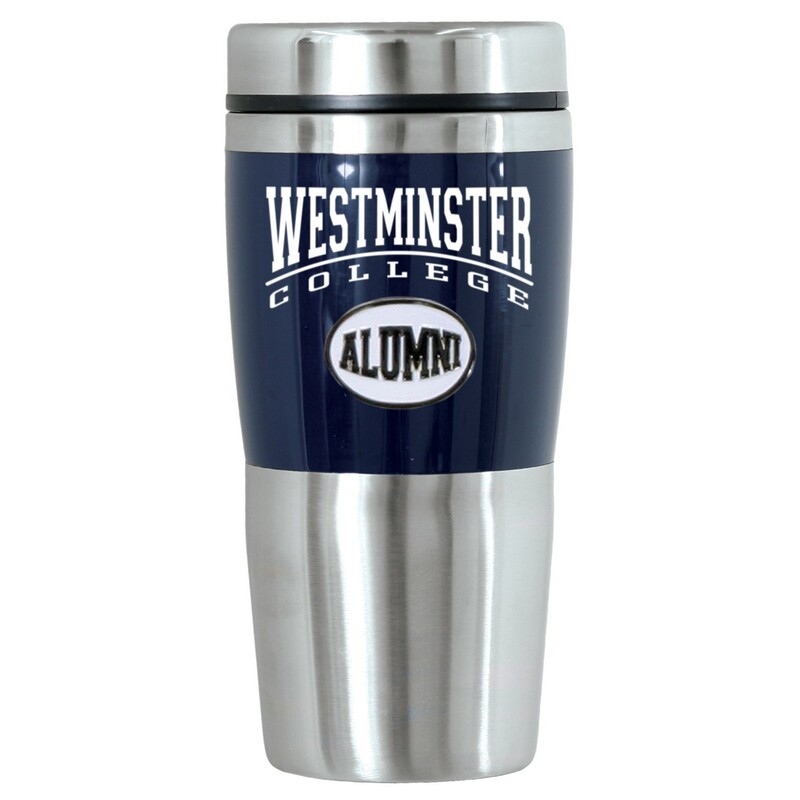 Ryder Alumni Medallion Travel Tumbler has stainless steel liner with 16 oz. plastic body. Features metal alumni medallion. Ryder Football Medallion Travel Tumbler has stainless steel liner with 16 oz. plastic body. Features metal football medallion. 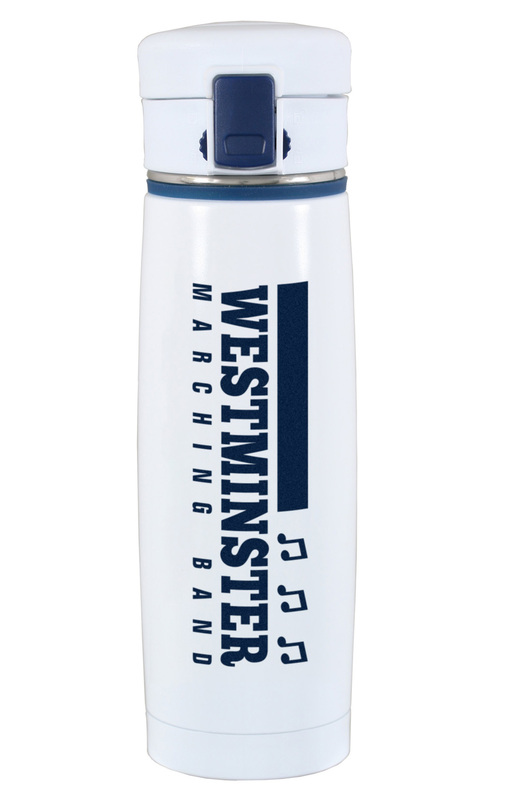 Viper MARCHING BAND Travel Tumbler is a 16 oz. double wall stainless steel thermal tumbler with copper vacuum insulation. Threaded one touch push button lid has locking mechanism. Keeps cold drinks cold for 8 hours, and hot drinks hot for 16 hours. Available in White with navy lettering. Viper SOCCER Travel Tumbler is a 16 oz. double wall stainless steel thermal tumbler with copper vacuum insulation. Threaded one touch push button lid has locking mechanism. Keeps cold drinks cold for 8 hours, and hot drinks hot for 16 hours. Available in White with navy lettering. 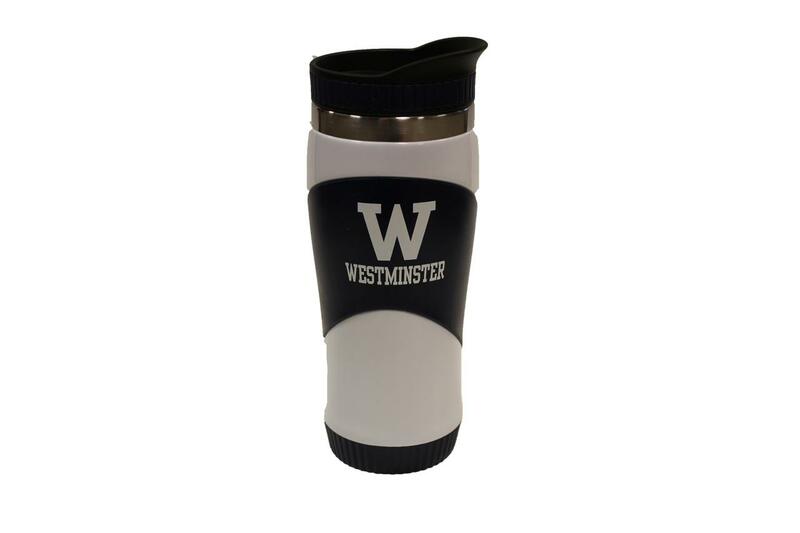 Viper WESTMINSTER Travel Tumbler is a 16 oz. double wall stainless steel thermal tumbler with copper vacuum insulation. Threaded one touch push button lid has locking mechanism. Keeps cold drinks cold for 8 hours, and hot drinks hot for 16 hours. Available in White with navy lettering.